The latest to join this sleep brigade is Simon Scott, who follows his rather impressive solo debut, Navigare, released last year on Miasmah, and a couple of limited releases for Secret Furry Hole and Immune earlier in the year with Silenne, a record which, as described by Scott himself, was inspired by his propensity to fall asleep in the sunshine whilst listening to music. 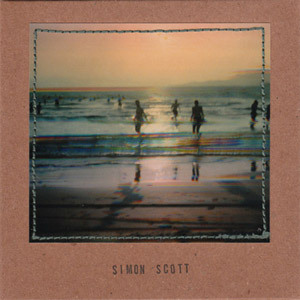 The single piece, lasting thirty-three minutes, which is the time it usually takes for Scott to fall asleep in the aforementioned conditions it transpires, is based around a recurring guitar loop, which is layered with dreamy electronics, processed vocals and textures. As the track progresses, the loop becomes looser and looser, congested by increasingly long delays. Buried under slumbering effects, and seemingly slowing down drastically, the contours of the guitar motif become less defined. By the half way mark, it is very little more than a distant echo, losing intensity with each new ripple, until the whole structure slowly drifts into a vaporous drone. From there on, the progression becomes almost totally imperceptible, with just a vague pulsating flux still discernable. In this state of near sleep, there is very little definition left, and Scott simply pushes this floating forms along, fading it out so slowly that it is at first unnoticeable, but soon the soundscape slowly pulls away further before eventually disappearing entirely. Silenne bears a certain resemblance to some of the dreamiest moments of Navigare, but it is in essence closer to the dense sound forms found on Traba, the mini album Scott released on Immune Recordings earlier in the year. Yet, due to its particular format, this piece follows different rules, its sonic space morphing so extremely slowly, but doing so constantly, that sounds never quite appear as they are. This is a process that Scott appears to control very well, and, providing it is experienced in the right conditions, Silenne can definitely make its listeners fall asleep, which in this context is somewhat a good thing.